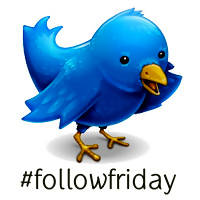 FollowFriday is a Twitter tradition whereby, every Friday, people ‘recommend’ other Twitter members to follow. For example, if I put #FollowFriday (or #FF for short) and the name of a Twitter member, that means I recommend that you follow them too. I put quotes around ‘recommend’ because it’s evolved to become more of a ‘shout out’ thing, where I’ve noticed many people just list celebrities/influential people, or friends/family. If you are involved with Autism in some way, I want you to hear me out because from here on out, I refuse to give shout outs… and I really don’t want to offend anyone along the way. Autism, like any other cause that we believe in, is very important and very serious and it’s for this reason that, even though I happen to be quite proud of my sense of humour and ‘go with the flow’ nature, I take some things quite seriously. This FollowFriday tradition is one that I’m going to take more seriously from here on out. There is a great site (FollowFriday.com) which actually ranks people based on the number of FollowFriday mentions they get. That’s not what is important. What is intriguing, to me, is that they do NOT count anyone’s mentions if they mention more than 50 people. The reasoning for this is quite brilliant, in that, if you are recommending more than 50 people to follow, you don’t really mean it. You could have a million people in your list and you should still be able to narrow down real genuine serious recommendations for others to follow to less than 50. This gives your recommendations value. REAL VALUE. If someone recommends 3 people to follow, and they have a list of 20,000 people… those are 3 very special people! Wouldn’t you agree? They have a lot of value to be singled out and displayed to the other 19,997 people. If they were just 3 people included amongst 50 other mentions, their value not only diminishes but disappears completely since not one single person on the entire Internet would sift through your 50 mentions and try to find the ones of real value. In the case of Autism, or any cause, this is especially important and critical. If I go recommending 20 people that are funny and 5 people that are genuinely great information sources on Autism, the message will get lost and the value gone. It all comes down to building a stronger community, that doesn’t mean that I intend on excluding people. Don’t get me wrong. I would love to FollowFriday my entire list but I know full well that it will mean getting NO CLICKS instead of more. As I said before, not one person would spend the time weeding through the mess to find the value. And so, it would accomplish nothing. Carefully selecting the truly worthy members of your list and recommending those few will ensure extra exposure, added value and more follows which will help to build a stronger and even larger community. It is for this reason that I have decided to drastically cut down the number of FollowFriday mentions that I will make each Friday. I really do not wish to offend anyone by not mentioning them. There are simply far too many people that I actually do want to mention. But I can’t or else I do more harm than good. Limit yourself to a finite number of people each week. Maybe 10? 20? Lower if possible. And stick to it. It forces you to be extra picky. Make lists, use them, one per week. Lists such as parents, charities, information, merchandise, etc… you can visit one list each week and pick the top members from them to FollowFriday. This way, each week you feature categories of members, allowing you to cover more people over time since you likely won’t repeat a mention for several weeks. Keep a notepad txt file on your desktop and keep tabs on someone you’ve noticed with really good information, especially inspiring, good blog posts, etc for that specific week. Give that person a mention that Friday. They’ve worked hard, they deserve it. Erase after and start it fresh on Saturday. Pick people that your followers would be genuinely interested in. Not just family or friends. They might be upset that they recommended you and you didn’t return it but if you want this to actually mean something more than giving a friendly shout out, they’ll understand. FollowFridays don’t have to be Friday exclusive. It’s nice to be included that one day, but it means even more to get a random “Wow, you really have to follow @twitter_member, they know a lot!”. It means more to that person, it means more to your followers. If you are making more than one tweet for your mentions, include a one-two word descriptor to tell people who or why you recommend them. Most of my FollowFriday mentions look like this: “#FF #Autism Charities: ” or “#FF #Autism Parents:”. This allows people the ability to sift through them and look for the people they’re most interested in. It’s not a competition! People put value on the # of followers that a person has but I’d gladly put my 1000 followers up against someone else’s 10,000 because almost all of mine discuss Autism. This gives my followers a lot of extra value to me. They mean everything to me since Autism is my world (at least on Twitter anyway). Since it’s not a competition, don’t use those #FollowFriday list building tools. Some are clever and try to find others that you’ve mentioned a lot or that have mentioned you a lot… but they can’t really judge true value. They can never replace your own ability to place a desire to share a follower with the world. Think about it as a party and you’re making introductions. You don’t introduce random people to random people and you don’t introduce a person to other people when you know those other people won’t really want to meet them. You introduce someone to people when you think they will have a mutual interest in each other. So introduce me to someone that you think is someone that I’d want to follow and I’ll follow them. But don’t throw a ton of names at me because I won’t remember their names later. ← Is IBI right for my child? What is IBI? Spot-on. When I do it, I try to just mention one person in a #ff tweet and I write a sentence as to why. Not only does that indicate why that person is special, but since I’m involved in a few different communities on Twitter, it will prevent people from following someone who will have no interest to them (i.e., my running friends probably aren’t tremendously interested in discussing autism, and vice versa).